I don't know what it is, but the second I get the slightest chill in the air, I start to think about apples. Goodbye s'mores, goodbye BBQs, hello cozy fires and freshly picked apple pies. I went on a little adventure and found the following drool to the face recipes. I'll be trying some of these out soon. HOLLA. 1. 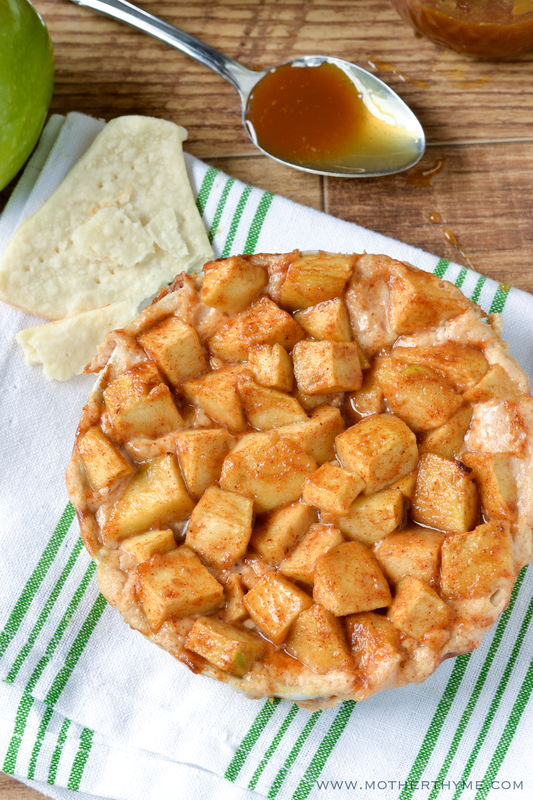 Apple Pie Dip from Mother Thyme. Looks SO yummy and is such a cool little fall dip. 2. 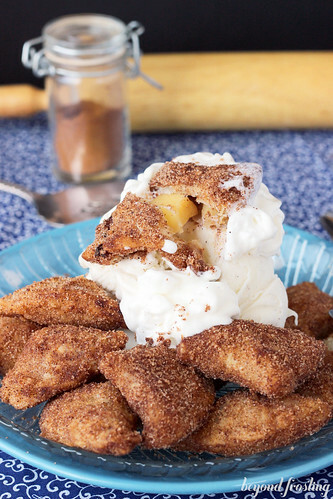 Deep Fried Apple Pie Bites. MMMMMM Kayyyyyy. Be a little more delicious looking. 3. 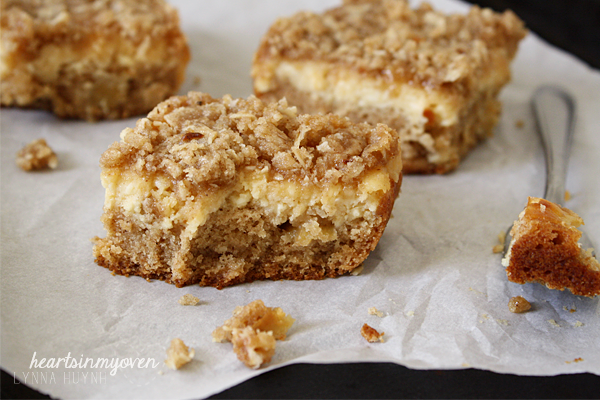 Caramel Cheesecake Apple Blondies. I can get behind this. 4. 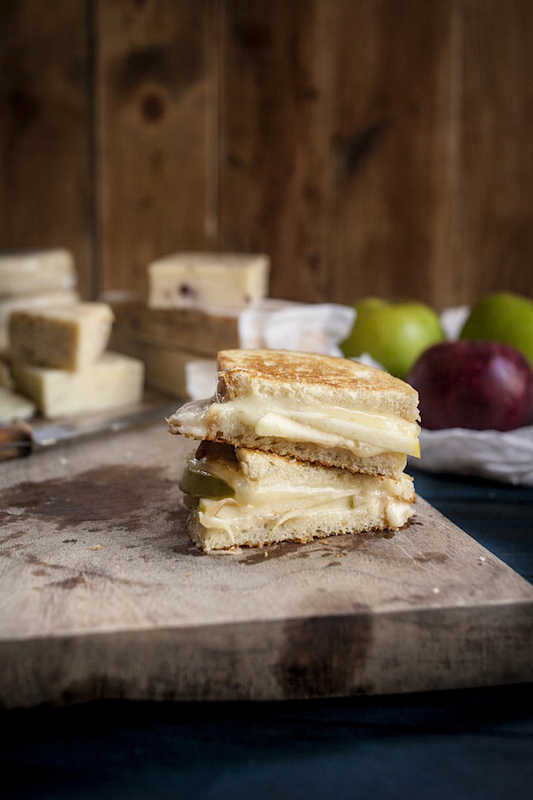 Smoked Cheddar Grilled Cheese with Granny Smith Apple & Dijon Mustard. DUDE. You know I had to throw something cheesy in here. I literally can not look at this pic without drooling. Oh my Gouda. 5. 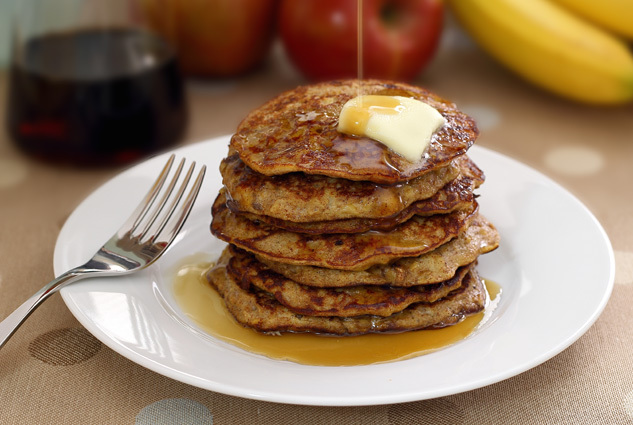 Paleo Apple Cinnamon Pancakes. Just to round out our balanced diet, I thought I'd throw in a delicious looking paleo recipe too.